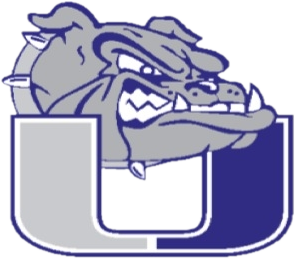 The Baseball Game between University and The Academy on Monday May 8th has been canceled. The picture should tell you why. 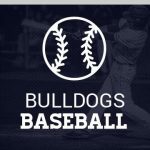 The Univeristy Baseball game originally scheduled for Thursday April 27 at Estes Park has been moved to Wednesday April 26. Site is still Estes Park, game time is 4pm. 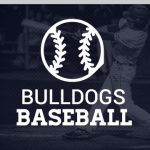 The start time of the University @ Sterling baseball game on Saturday April 22 has been moved to 4pm for the Varsity game. JV game will follow the varsity. 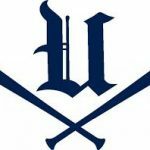 Saturday’s baseball game at University against The Acedemy has been postponed. Make up date to be scheduled next week. 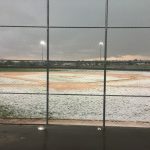 Multiple Teams · Mar 24 Baseball Tournament in La Junta Delayed. 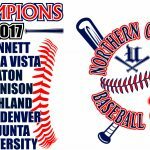 Due to weather, game times for the La Junta Baseball tournament have been pushed back. University is currently scheduled to play at 8:00 p.m. today, Friday March 24. Two games will be played on Saturday. 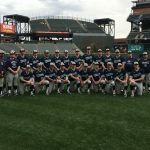 Check out pictures from University’s scrimmage against Erie at Coors Field in the photo gallery. Congratulation Spencer Wilcox. Spencer has signed a letter of intent to play baseball at Western Nebraska Community College in Scottsbluff, Nebraska. Spencer is the 8th University Student/Athlete from the class of 2016 to sign a letter of intent to continue their athletic career in college.